If you are disabled or have certain special needs, you can still have a cruise ship adventure. If you fall into this category, your best bet is to consult with a travel agent to find the best cruise line that will accommodate your needs. No two cruise lines are quite alike, so comparison shopping is required when choosing your options. Your particular disability could be the deciding factor on which cruise to take. For instance, not all cruise ships can accommodate wheelchairs easily. Cabins are notoriously small, so you must get dimensions to determine if your wheelchair will even fit inside your room. Part of going on a cruise is experiencing the various ports of call. Small boats called tenders are used to carry the travelers from the cruise ship to shore. Every effort is made to ensure that wheelchair bound passengers get to experience these ports of call. However, the tenders that take passengers to shore are not always accessible or safe for the disabled. If the wheelchair bound does manage to safely get to shore, certain ports of call may not always be equipped to handle special needs. Hearing impaired passengers can also request special accommodations. 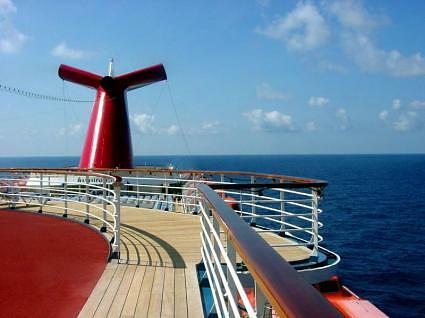 Some cruise lines will offer ADA (American Disabilities Association) compliant rooms. They will have tele-typewriters (TTY) or telecommunication devices for the deaf (TDD). These cabins might come with ADA approved kits which include visual smoke alarms, door sensors so you know someone is at your door and even alarms that vibrate. Travelers with guide dogs or other service animals will have a tougher time finding a suitable cruise. Each port of call has different rules and regulations regarding animals. Your travel agent can check with the Department of Agriculture for each port of call to determine their guidelines. Sometimes the services animals could be denied permission to leave the cruise ship. Special nutritional needs are also accommodated on many cruise lines. Vegetarians have options as do those passengers who require low fat, low salt or low cholesterol diets. Guests with lung impairments that require oxygen can cruise too, but must ensure that they have a plentiful supply of oxygen for their travels. One of the caveats for disabled guests or those with special needs is that you should be autonomous and travel with another companion in case any support during the cruise is required. No matter what infirmities you may have, the cruise line should be notified upon booking. However, with special planning for your special needs, you should be able to have an extra special adventure!